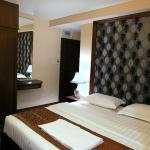 Jasmine Villa Pattaya is conveniently located in the popular Central Pattaya area. The hotel has everything you need for a comfortable stay. Safety deposit boxes, Wi-Fi in public areas, coffee shop, room service, laundry service/dry cleaning are just some of the facilities on offer. Guestrooms are fitted with all the amenities you need for a good night's sleep, including internet access - wireless, in room safe, satellite/cable TV, television, internet access - wireless (complimentary). The hotel offers various recreational opportunities. 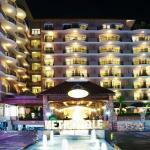 For reliable service and professional staff, Jasmine Villa Pattaya caters to your needs.